Law and identification transgressed political boundaries in the nineteenth-century Levant. Over the course of the century, Italo-Levantines- elite and common- exercised　a strategy of　resilient hybridity whereby an unintentional form of legal imperialism took root in Egypt. 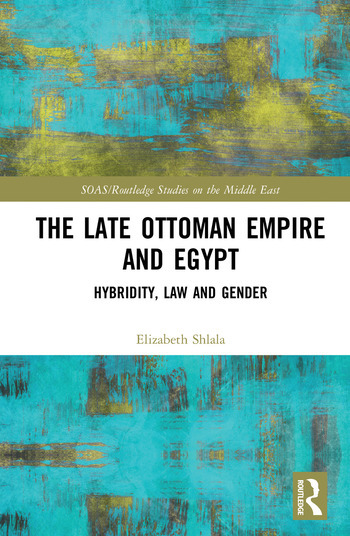 This book contributes to a vibrant strand of global legal history that places law and other social structures at the heart of competing imperial projects- British, Ottoman, Egyptian, and Italian among them. Analysis of the Italian consular　and mixed court cases, and diplomatic records, in Egypt and Istanbul　reveals the complexity of shifting identifications and judicial reform in two parts of the interactive and competitive plural legal regime. The rich court records　show　that binary relational categories fail to capture the complexity of the daily lives of the residents and courts of the late Ottoman empire. Over time and acting in their own self-interests, these actors exploited　the plural legal regime. Case studies in both Egypt and Istanbul explore how identification developed as a legal form of property itself. Whereas the　classical literature emphasized　external state power politics, this book builds upon new　work in the field that shows the interaction of external and　internal power struggles　throughout the　region　led　to assorted forms of confrontation, collaboration, and negotiation　in the region. It　will be of interest to students, scholars, and readers of Middle East, Ottoman,　and Mediterranean history. It will also appeal to anyone wanting to know more about　cultural history in the nineteenth century, and　the historical roots of contemporary global debates on law, migration, and identities. Elizabeth H. Shlala is a fellow at Harvard University. Her work explores the nexus of modern migration and law in the Middle East. Her main research areas are two-fold: legal imperialism and colonial hybridity in the late Ottoman period and the social and economic impact of contemporary global migration.